CRIME, GUNS, AND VIDEOTAPE: Is This John McCain’s Waterloo? The New York Times dropped a giant bomb on Arizona Senator John McCain's campaign to become our president. McCain has tons of baggage from voting with the Democrats on the most divisive issues possible to his role with the Keating Five and the huge swindle involving Charles Keating. McCain fooled thousands of ignorant voters who mistakenly believed that McCain’s military credentials made him a Conservative. McCain belongs in the Democratic Party. McCain’s disgraceful role in the Incumbent Politician Protection Act also know as the McCain-Feingold Campaign Finance Reform Bill that has destroyed the First Amendment won't be soon forgotten. That legislation is still the target of judicial rulings striking that law down. Among the allegations are his closeness to an attractive 40 year-old lobbyist. This will never sit well with members of the Religious Right that dislike McCain anyway. 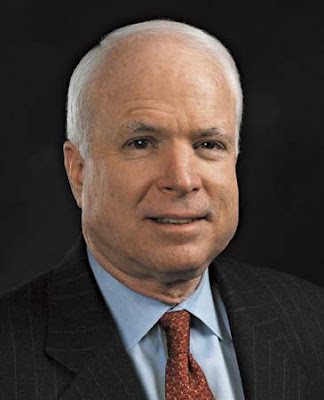 Of course how can we forget McCain’s support for Mexico’s continued exportation of Crime,poverty and drugs through the Immigration Amnesty Bill. The question is will this reshape the Republican ticket before the republican convention? Will a White Knight Conservative show up as a Third Party Candidate splitting the vote assuring the Democrats a Presidential victory in November? Look for the Liberals to be McCain’s strongest supporters fighting these allegations. true or not , that he likes women!